The mission of Eagle-Gryphon Games — a subsidiary of FRED Distribution, Inc. — is to produce the best quality games on the market in terms of both game play and components, as well as to provide great customer service. 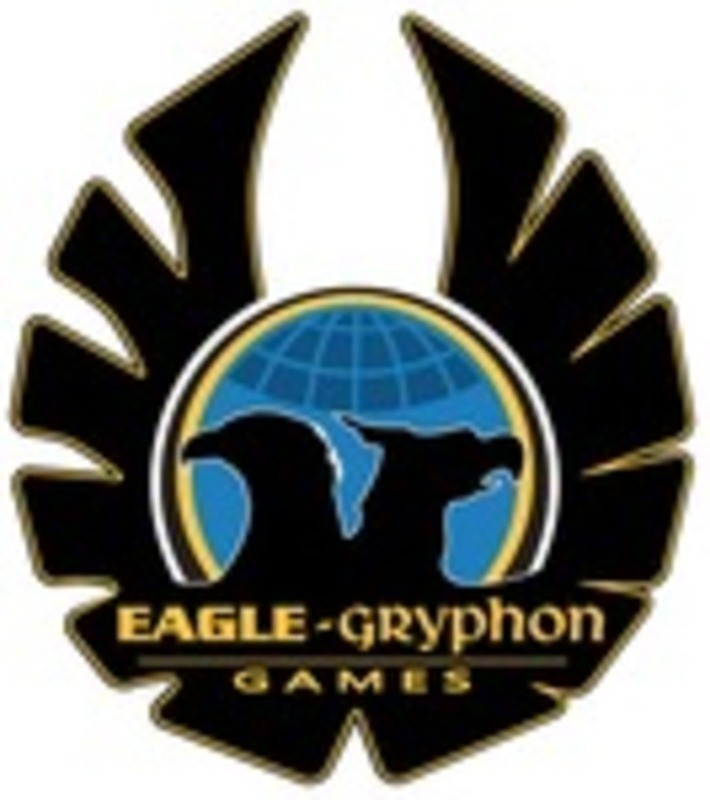 Eagle-Gryphon Games was formed in late 2014 when FRED Distribution, Inc. reorganized its two game lines — Eagle Games and Gryphon Games — into a single entity. The Eagle-Gryphon Games catalog includes games that promote fast, friendly, family fun that appeal to game players looking for light-to-medium-weight strategy games, as well as games for players who like strategy and challenge that may take up to several hours to play. Our lighter fast, family fun games include our acclaimed Bookshelf Series with titles such as Roll Through the Ages, For Sale, Incan Gold, and Masters Gallery; our award-winning games like Fantastiqa, Fleet, Pastiche, I'm the Boss, Cheeky Monkey, Take it Easy, the Pick A Pig/Pick A Dog/Pick A Polar Bear/Pick a Seal series, and many, many more. All are suitable for the entire family, game groups, classrooms, retirement villages and social gatherings of any size or kind. Our deeper strategy titles include classics like Through the Ages, Age of Steam and its many expansions, Brass, Defenders of the Realm and its many expansions, and Conquest of the Empire, as well as newer games like Francis Drake, Triassic Terror, Rococo, Empires: Age of Discovery (a.k.a. Age of Empires III) and our beloved Railways of the World series of games. Customer Service Inquiries If you have a question or comment, please email customer-service@eagle-gryphon.com. Game Submissions To submit a game for consideration, please email gamesubmission@eagle-gryphon.com. Retailers For direct sales inquiries, please email sales@eagle-gryphon.com. Kickstarter For Kickstarter-related questions, please email kickstarter@eagle-gryphon.com. Media For reviews or interviews, please email marketing@eagle-gryphon.com. Demo Program For our Wingman Demo Program, please email wingman@eagle-gryphon.com.